Please post the dxdiag.exe file of your computer. Follow these instructions (link). It will tell us if your computer is capable of working with this program successfully. What are you watching the DVD with? Can you try it on a different player? Windows Media Player. Tried DivX Player and it seemed a little better. I got a funny feeling it's my video Radeon 5700. What if you play your DVD on a set-top player? 1) does it play? 2) does it flicker? Tried it on our DVD today. Same results. It plays but flickers. Transitions between pictures are bad too. My friend seems to think it's my DVD writer. -Use a middle burn speed. Since your burner is adjusted to burn from its slowest to its fastest speed, aim for the middle of the speed envelope. Program defaults to Hardware Rendering. In the past that has produced problems in scenes with camera movement. Might want to try Software Render - in MyDVD, Tool - Options - Render. OK thanks, I'm using Maxell DVDs, and am doing all that other stuff. We have also replaced the DVD burner. Same problem. PS: When rendering the video it is perfect. NOTE: Is it possible the DVDs are too old (Over one year old). If you mean it looks fine in the preview window as it's rendering, I'll suggest that that means almost nothing. Hopefully, you're rendering to either a folder set, or a .ISO file first, before writing your DVD? If so, you can preview your rendering before writing to a disc, that way you'll know if the problem is with the disc/burner, or with the rendering itself. My guess is that the problem is with the rendering, since the disc actually plays. Is it possible the DVDs are too old (Over one year old). I have Verbatim and Taiyo Yuden disc's over ten years old that are still good never used. The key is storage, air conditioned and heated home (humidity kept low), no direct sunlight (I keep mine in a dark closet). Once I render ISO...How do I watch the rendered ISO slideshow before burning to disc? ? Or, if you have the free VLC player installed, you can open the .ISO file directly with VLC. Never knew VLC played Blu-ray iso file? He said DVD in his first post, as does the rest of the thread, not Blu-ray. Not sure if VLC supports Blu-Ray ISO. I just tried, and it didn't do well with an AVCHD .iso file. 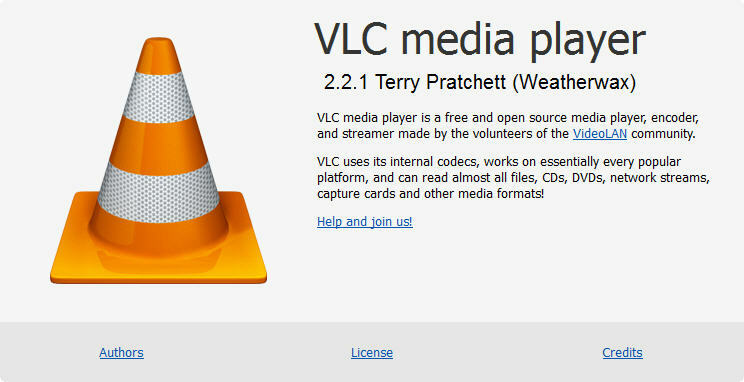 VLC after 2.0 supports Blu-Ray playback, according to what I've found on-line. It's never worked for me even with the two files, Keys Database and AACS Dynamic Library. I will stick with VirtualCloneDrive. I just dragged a MyDVD folder onto VLC, and it started playing the video without any problems. Also version 2.21 (Weatherwax). I'm not certain if it's an AVCHD folder, or a BR folder. But again, the discussion has been DVD, not Blu-Ray, unless Smokytoo comes back to tell us otherwise. Hi again. OK, tried everything, including changing to Software Rendering, Still the same. Also downloaded VLC (works great) but it still flickers while watching it on VLC too. I'm lost. So, if it's flickering with the video before putting it to a disc, then the problem is somewhere in the rendering process. Since you say it flickers when you're doing a pan and zoom, then I'm guessing you're creating a slide show type video? Using still photos? What are the average dimensions (in pixels) of the photos you're using? Yes, that's correct. Measurements in pixels would be 3648 X 2056. Another thing I think I forgot to mention. When I click on completed MYDVD Project, MYDVD crashes. (NOTE: I don't have Roxio open when I do this. When I have MYDVD open, and I go to open a completed project, it opens OK, I just have to redo the background. Do ALL transitions and pan/zoom effects flicker? I don't really have any great ideas of what might be going wrong. Are you doing your project in 4:3 or Widescreen format? Could you try a very short test, with only 3 or 4 pictures? Take each of those pictures, and resample them to 50% of their original size (work on a copy of the original), and use those reduced size pictures in your test. Do your pan and zoom, and a transition, and see if that makes any difference after you render it? In MyDVD, you can select, the "DVD, No Menu" project to avoid any extra work there. My thinking is that by reducing the size of the image, you'll reduce the processing needed to render your video. With software rendering selected, I really don't think it should make a difference, but it should be a quick test. When I have MYDVD open, and I go to open a completed project, it opens OK, I just have to redo the background. Do you mean edit a existing production in Videowave? That is in Videowave too not My DVD! You're correct, that's in Videowave, which is where one does pan and zoom, and transitions, which is where he is getting flickering. I wasn't addressing the MyDVD issue. I wasn't addressing the MyDVD issue. It's hard to follow smokytoo when he says My DVD when it's Videowave he is editing in! With all the wrong application naming I'm not sure he has a My DVD issue? Yep, you're right about editing in videowave. But, everything that I talked about is/was happening when I played it in MYDVD. I reduce the size of all pics to 640 X 360. redid all Pan & Zooms to my likeings. Then watched the video on MYDVD and looked perfect. Though we had fixed it. Then I went the VLC to look at the ISO image to see how it looked there. Same crap, the two moving menus, at the beginning and end of the video, jerk and jump. Pan and Zoom was much better.